At SVC we stay as modern and state-of-the-art. There are always new advancements being made, new research being done, and new instruments being designed…and we are right there at the leading edge. 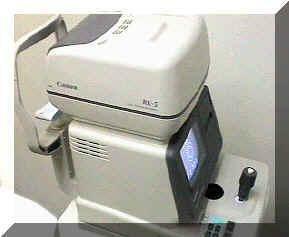 One of our newest diagnostic instruments is our Canon Retinal Camera. 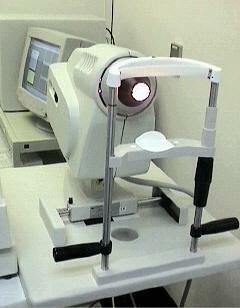 It allows us to take a photo of the inside surface of the back of the eye. The information we obtain from these photos is extremely valuable in helping us to first establish a baseline of your ocular health, and then to continue to monitor and perfectly document the health of your eyes – the retina (macular degeneration), the blood vessels (high blood pressure, diabetes, high cholesterol), and the optic nerve (glaucoma) – at each yearly exam. 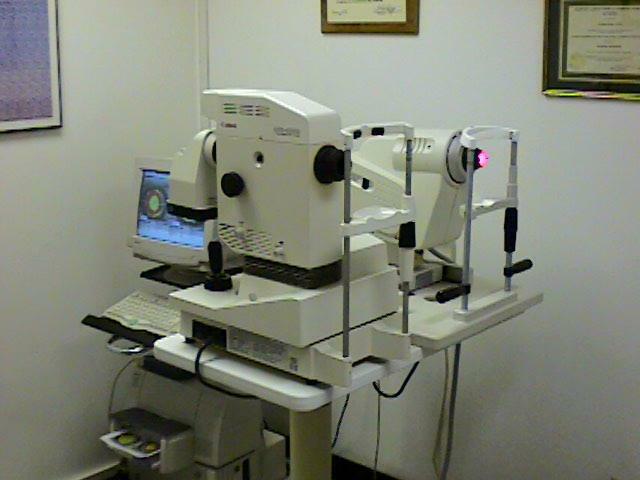 We have also recently installed a brand new Canon RK-5 Auto Refractor. This instrument takes a measurement of your prescription by calibrating the optical properties in your eye with infrared light. The Keratron Corneal Topographer is an instrument we use on every contact lens patient, every patient on which we are performing corneal reshaping, as well as any patient with abnormalities of the front surface of the eye. The Humphrey Visual Field Analyzer is another brand new instrument that allows us to measure the sensitivity of your retina. 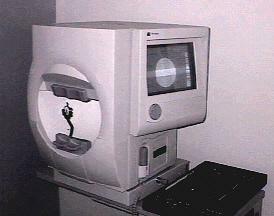 This is a screening test we perform on every patient. The results can tell us if you’ve lost any vision, even if the loss is slight enough that you haven’t noticed yet. This gradual loss of vision can occur with several conditions, including glaucoma, diabetes, neurological problems, and cataracts (and many others).